Update: Latest Kuih Kapit Recipe, way much better! Mum kept saying, smells good! I’m making 4 portions so you can times number of portions you wanna make. Sieve your batter to filter out all the lumps. 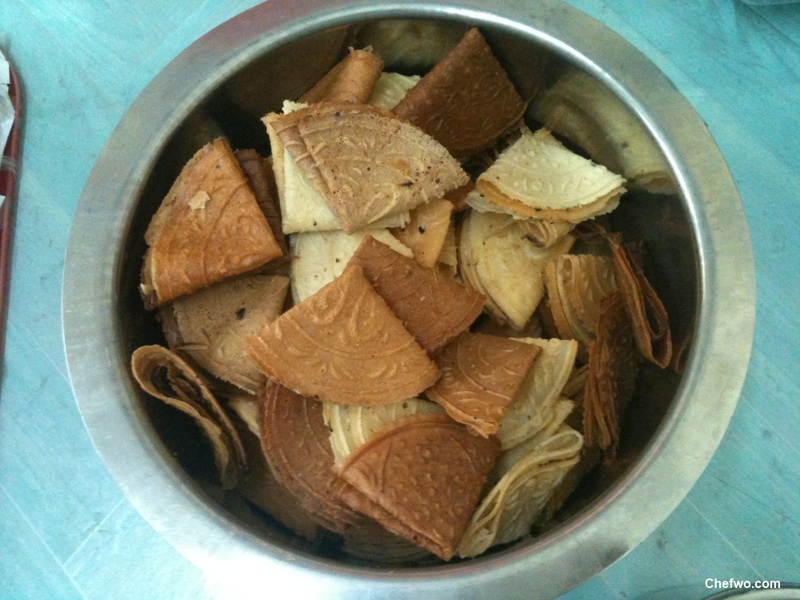 Prepare your kuih kapit clipper (make sure your clipper is hot) then pour batter onto clipper and start to burn! This time i’m not going to sit on the floor, i’m placing it on top of folding table, more comfortable and i’m standing and not tired! Place your fingers onto very hot kuih kapit and try to fold and at the same time numb your fingers by pressing onto the hot kuih kapit so that you’ll get used to the pain of hotness. There is no need to buy a glove, coz you cannot fold using a glove! Get ready 2 butter knives and small knife.1 butter knife to flatten and kuih kapit, another butter knife to fold, 1 small knife to clean surrounding kuih kapit mould. 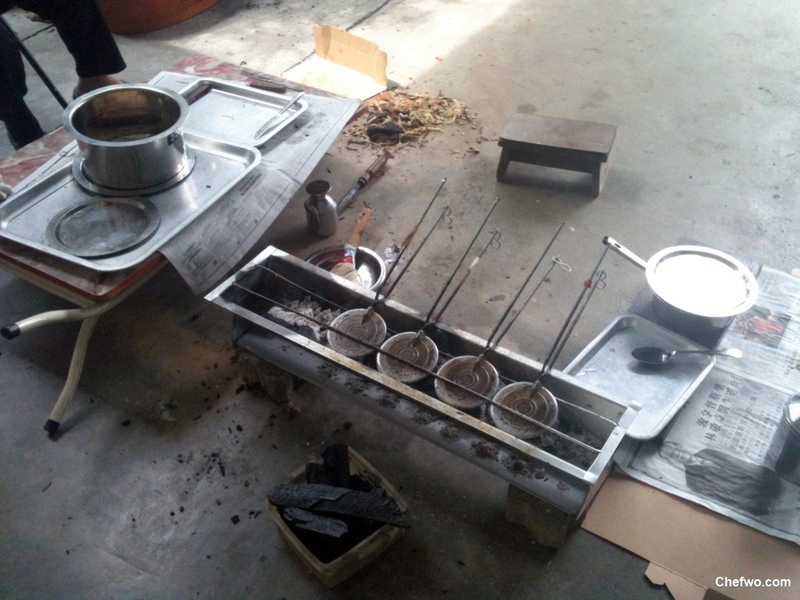 You need another assistant to help you to add more charcoal, help fold kuih kapit and put into a bowl. Cooking oil nearby for you to add in case you don’t have enough. Kuih Kapit batter is the same texture as melted ice cream. That’s all for now. If you have any other questions, feel free to ask me. Will I make this again? No. Because it’s sooooooooooooo tiring. How much is this set of kuih kapit tools: RM18 for the charcoal set, RM7.50 for each clipper. My first round of making kuih kapit fail miserably because i follow a website with lots and lots of all purpose flour. Theoretically it should be rice flour and definitely not all purpose flour! May I know if I make kuih kapit base on your recipe, how long can the kuih kapit last if keep inside the plastic bottle? May i know roughly around how many pieces can make out ? 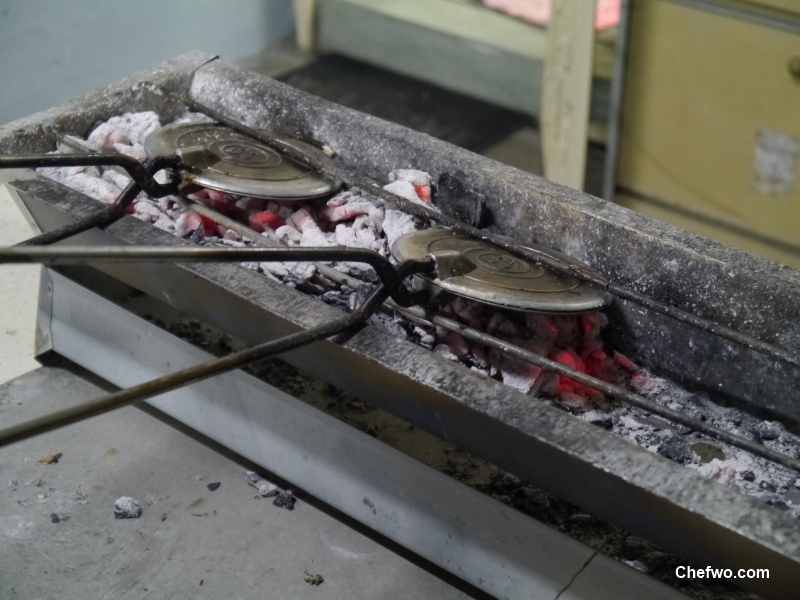 This reminds me of when I was young my mom and Aunt would sit on the stove making kuih kapit, its hot and the smell of charcoal. Nice recipe and I believe its much better than store bought one because you know what you put inside. Yup, this taste you can never find in store bought. Any tips on buying good ‘Kuih Kapit’ mould / clip? 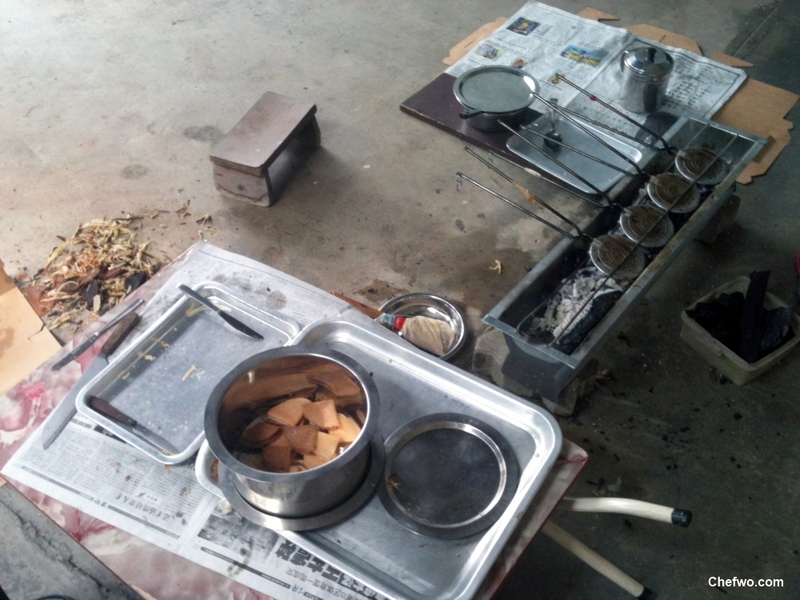 I bought medium size mould, basically all kuih kapit mould are standard in the market nowadays, you have to carefully check the design from each mould whether it’s sharp or not and the mould handle straight or not. Hi, may I know where u get the charcoal set? Thank you Rosamund for the recipe. I’ve tried it out and it is crispy and nice. As my parents were diabetic so I cut down on the sugar portion. But I noticed that a lot of batter purged out when I close the clipper. Any reason why and how do I control this? As for the clippers, in Penang the cost is around RM6.00 ~ RM9.80 each and I’ve to scout around for lower cost. There’s one shop in Prai selling at RM5.80 the old price tag on one side of the clipper and RM6.80. I managed to buy each at RM6.00 / clipper. And I also noticed that some clippers that I have bought does not close well, there were gaps in between the two plates when I clipped it, that’s one point to look out for when buying clippers. I also noticed that when choosing the cliippers, some handle close easily, very loose and some were tight. I chose the ones with tight handles. Thank you for sharing your recipe. I did a few batches and ended up half in the tin and half on the floor (too much batter purging). Don’t pour too much, just one thin layer will do, this will prevent purged out when closing clipper. Thank you so much for the recipe. I try hard to get the actual recipe however most of doesnt make sense. All are mostly using purpose flour..just like u mentioned jst now.. Thank you for the recipe. Can I do it on stove top 🙂 I tried making on charcoal years back…like you..I will never do it again…but now thinking if I can do it on stove top why not…what you think? 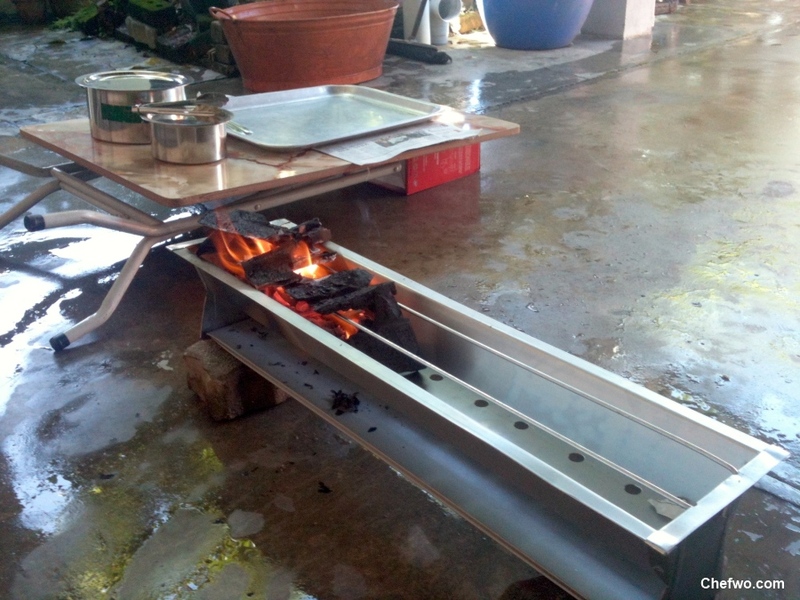 Yes u can do on stop top, i think there is a special stove just for making this kuih kapit. But duno where to buy. Thank you for your recipe. Its awesome and my kids loves it. I like the idea of not using so many eggs. Some recipes requires 10 eggs. Just wondering what difference would it make with the number of eggs. Hi thanks for the receipe. Was trying out the receipe and could not find how much tapioca flour to put in together with the rice flour. Look forward to your reply. Hi Rosamund, thanks very much for this great recipe! I’ve made this twice with great success. 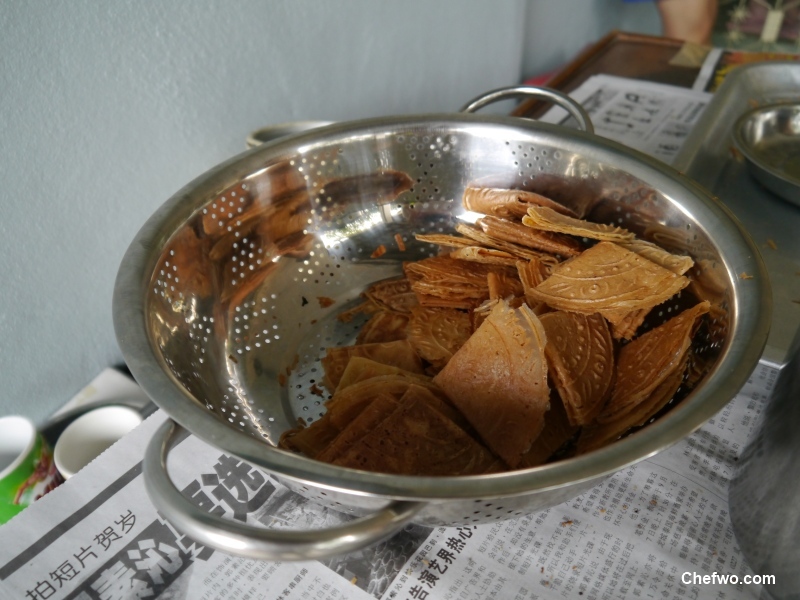 The love letters are aromatic, crispy and traditional. I absolutely love them! 1. When choosing the love letter mould, check that the hinge moves freely without any stiffness. The hinges of my two clippers broke Midway and I had to make do with two remaining clippers. It slowed the process drastically. 2.Each portion of the recipe yielded about 130 pieces using 4 clippers and took about an hour. Make sure to tilt the clipper to drain extra batter before clipping tight and cooking over the stove. The love letter will be paper thin and melts in the mouth. 3.When love letter is golden brown, I used a butter knife to fold it into quarters when it is still on the clipper. Once it is fan-shaped, I used the butter knife to lift it off the clipper onto a wire rack to cool. This way, I didnt need to touch the piping hot love letter. So no burnt fingers and it’s more hygienic too as no need to touch with bare hands. 4.Both times I made double portions (original recipe x2). Charcoal required is about a packet of 5kg. 5. I used a hand mixer to blend the sugar and eggs till it was light yellow and slightly frothy. Saves time and the batter is well mixed. 6. The love letter clipper costs $6.50 each from Phoon Huat stores in Singapore. 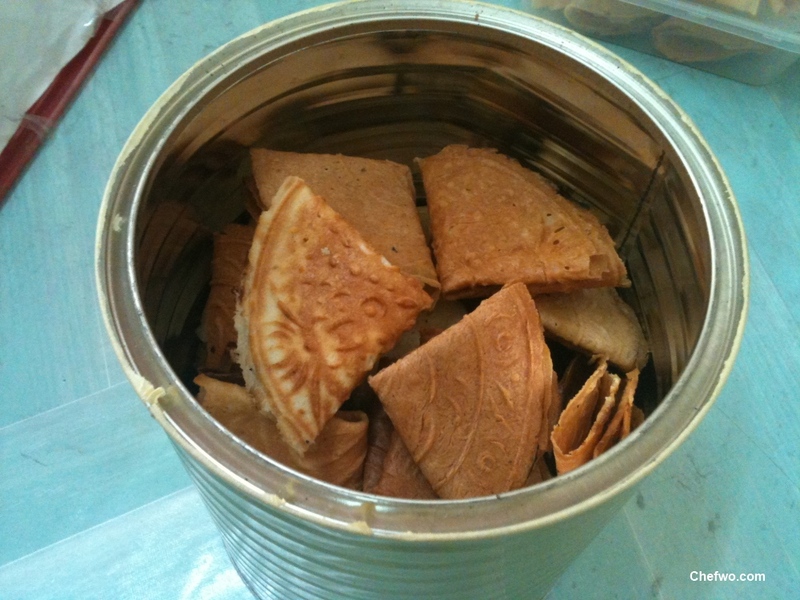 I will make this again as and when I feel like indulging in my favourite CNY snack. Once again.thank you from the bottom of my heart. I hv tried yr recipe..it turned out so well..i use electrical love letter toaster,it’s so easy..this is the taste of kuih kapit that i normally buy during cny season (singlong brand..but its pricey!) Now..i can hv it anytime. 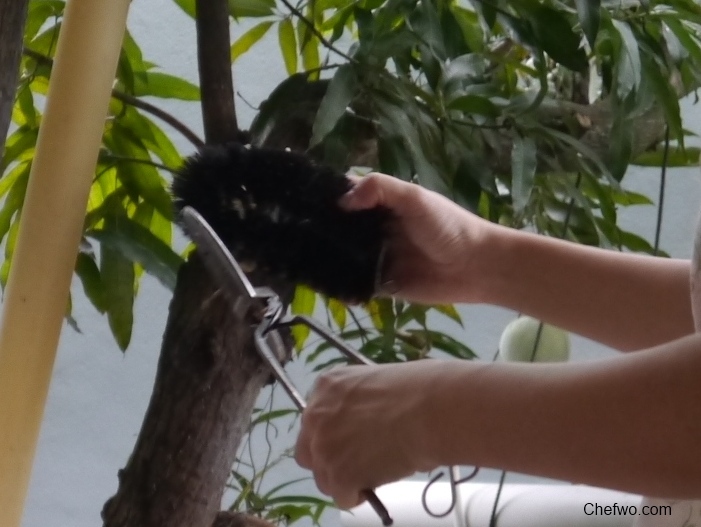 Thank you for sharing this great recipe..
Where do you buy the Kuih kapit clippers and charcoal set? Please advise. Thanks in advance. Is this mould available in china? I need to buy one and I am in Sri Lanka?